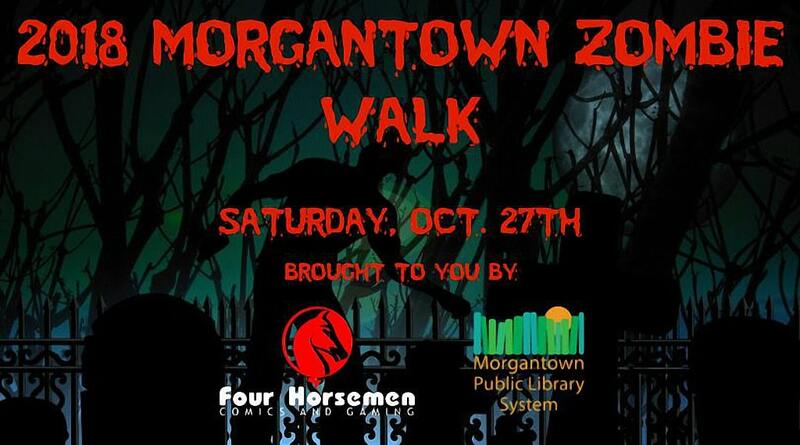 The time is almost upon us when the living dead will once again take over the streets of Morgantown! Haggard Wulf will be providing the pre-walk entertainment again this year, along with costumes contests, giveaways, and of course the food drive. The staging area for the walk is at the Morgantown Farmers Market Pavilion, located at 400 Spruce Street, and pre-walk events start at 6 pm. Follow our page for further details!